The Task: "Use a technology or new ideas that wasn't available three years ago to help solve a problem that people have." The Execution: Through a simple Venmo transaction, people from around the world are able to help those facing disaster. 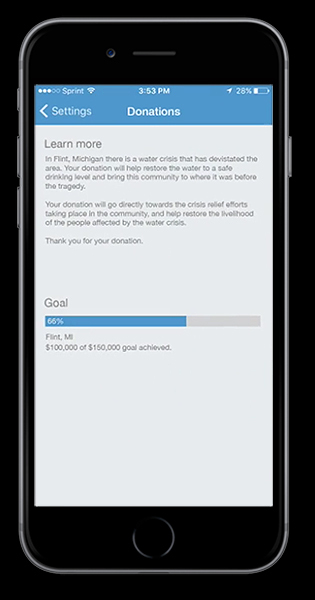 App Update: Users will have the option to add an additional donation seamlessly. Information Page: You want to see where your money is going, and how it's going to help. Support: Raise awareness and show love, you can click on the plus logo and 'like' when someone donates.